Shaded pole 42 frame motors offer sleeve bearing type operation. 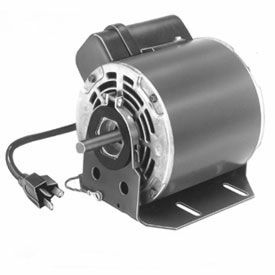 Single phase motors provide up to 1050 RPM. Automatic overload protection helps prevent overheating for long life. 60 Hz. This permanent split capacitor motor replaces base mounted motors for a variety of fans and coolers. Capacitor is mounted on motor. 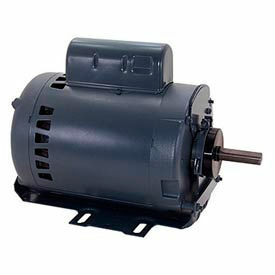 1/8 HP, ball bearing motor has an open enclosure. 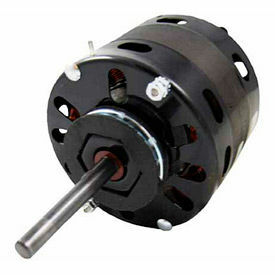 PSC type motor provides up to 700 RPM with 2.5 amps. Shaft measures 1/2 x 2 . Includes plug. Base mounted for installation. 60 Hz. 115V. Century® Outdoor Fan Motors Are Used For Use In A Variety Of Outdoor HVAC Applications. Fan motors are made with a 56 frame single-phase motor. Open enclosure. Automatic overload protection. Ball bearings. Single shaft. 6-1/2 D. Available in speeds of 1075 RPM, 1100 RPM and 1140 RPM.